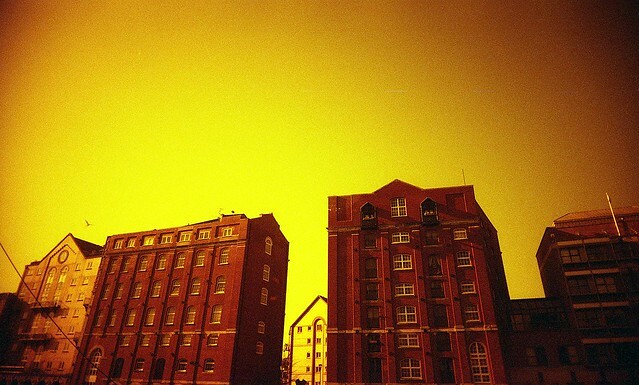 Redscale film is a technique of shooting through the back of the film instead of the front, therefore exposing the film from the opposite side. This results in an image which has a strong cast of red/yellow. Photographic film (C41 colour print) is usually made up of 3 colour emulsion layers, with each layer being sensitive to a different light colour. The bottom layer is red, sensitive to red light, next is green and the top layer is blue. Underneath the blue layer is a yellow filter which removes the blue light and allows the green and red layer underneath to be exposed. There is also an Anti-halation backing which prevents light from bouncing off the back of the pressure plate (camera back) and re-exposing the film. All of the layers are sensitive to blue light. 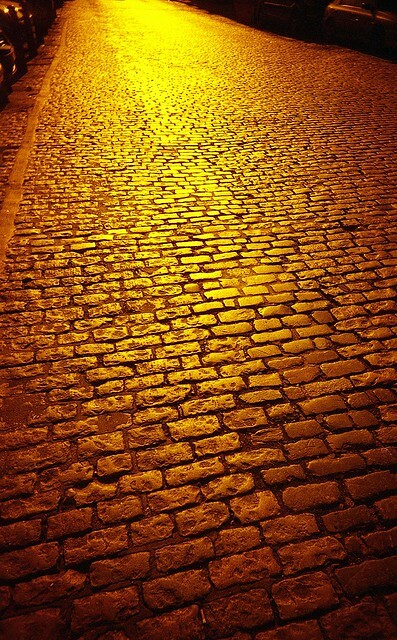 The blue light is usually removed by the yellow filter before it hits the green and red layers. So when we reverse the film and shoot through the red emulsion layer first the blue layer is no longer exposed. (For much more information on film layers for colour print film see wikipedia: http://en.wikipedia.org/wiki/C-41_process). The Anti-halation backing of the film is very thick, in order to penetrate this you will need to expose your shots from at least +2 stops above the film’s box speed. E.g. Film rated at 400 iso, shoot it at 100 iso. The more the film is exposed the yellower it will be. There can be substantial differences depending on the brand of film used. 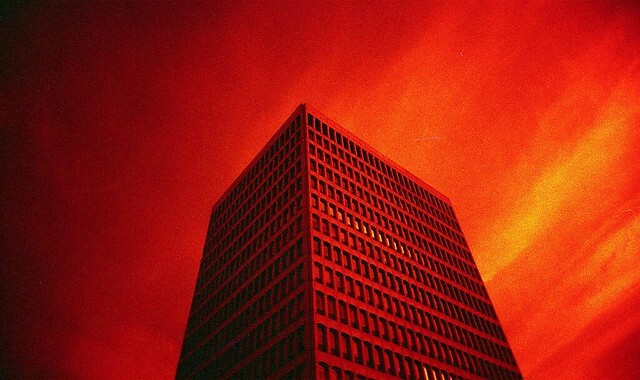 My experiments with redscale film. The above information is based on my understanding, if anything is incorrect please let me know. In future posts on redscale film I will cover using colour filters, cross processing redscale, redscale with slide films (E6) and re-shooting exposed redscale the correct way. really enjoyed your info on Redscale. Just about to experiment with it myself. Love the images too. Very vivid yellow/orange/reds. will check in on your site from time to time, also, liked the article on stand development, which as a film fanatic i’ve never tried, though will now. Kind regards from N. ireland. 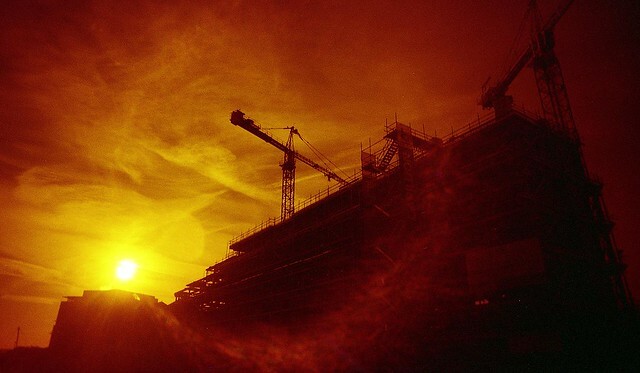 so I made my own Redscale Film from my Superia 400. question is, what will I tell the lab that’s going to develop my film? ISO 400 or ISO 100? It matters not what you tell the lab. It only matters how you expose the film. Then simply develop it as normal. I hope this helps. 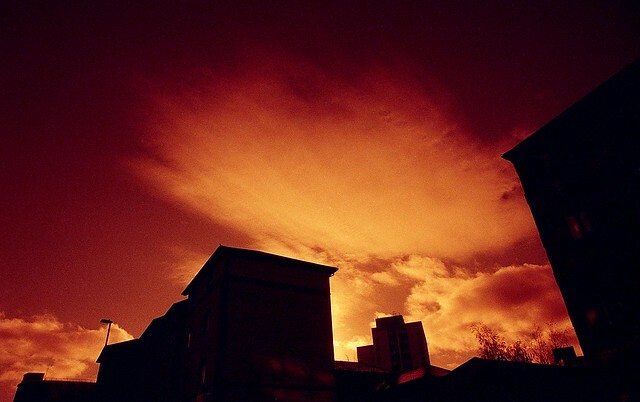 Beautiful examples of redscale film. This February is redscalemonth. 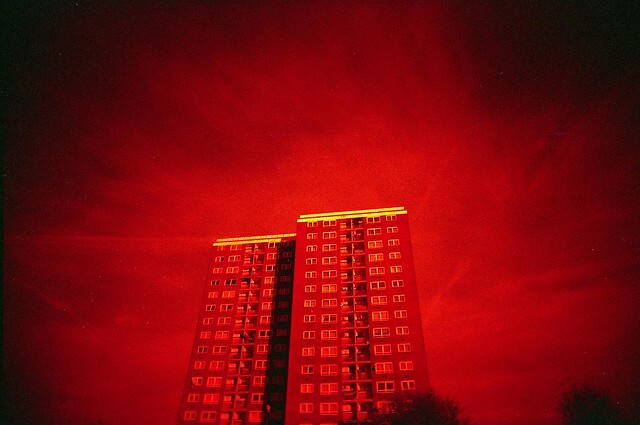 http://believeinfilm.com/redscale I will probably be tweeting your guide, great work. 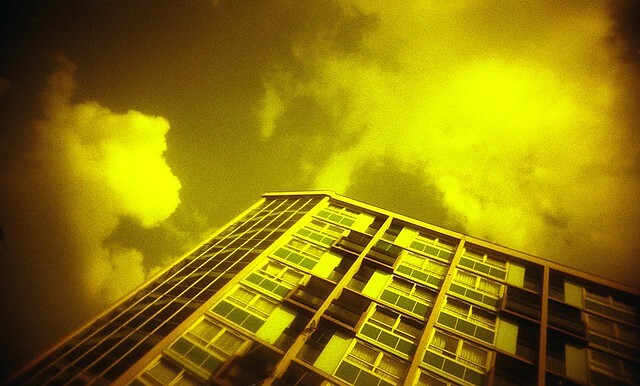 Great article, and a help with my own fledgling Redscale experimenting. You say the anti-halation backing is thick. This is the stuff that gets washed off during the initial rinse, if one rinses, when processing, correct? Have you tried, or do you know of anyone, loading the film onto a reel, rinsing it in a tank, then letting it dry, re-rolling it back into the cartridge, and then shooting it? A bit of work, to be sure, and I’m not really sure how long it’d take the film to dry on the reel in the tank. Also, even if rinsed with Photo Flo or distilled water, I’m not sure it would get spot free sitting in the tank. It’d probably be easier to do with 120 film, but only if you have a dark room to hang the film and let air dry. Also, I’ve read of some films that don’t have anti-halation layers. But I don’t remember if any of them were color films.